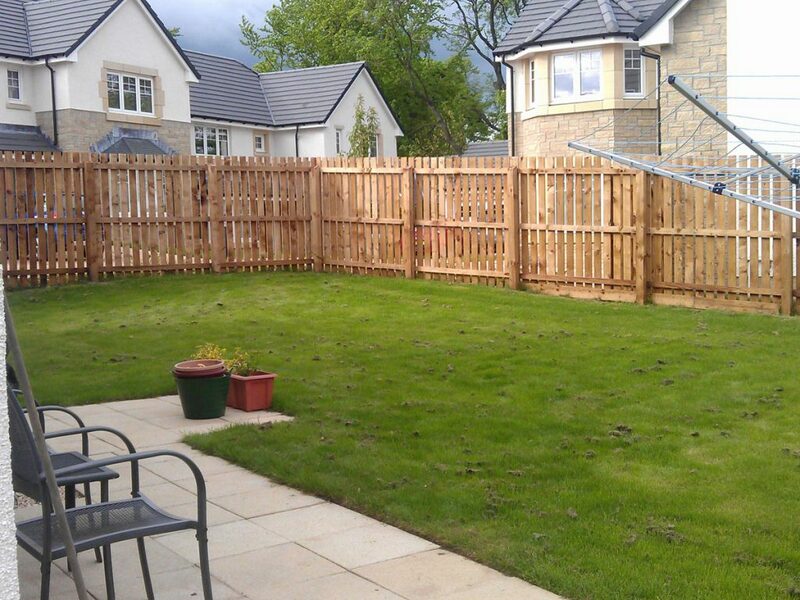 This garden in pretty Perthshire had lots of potential but, as with many new build homes, the garden lacked privacy and inspiration. 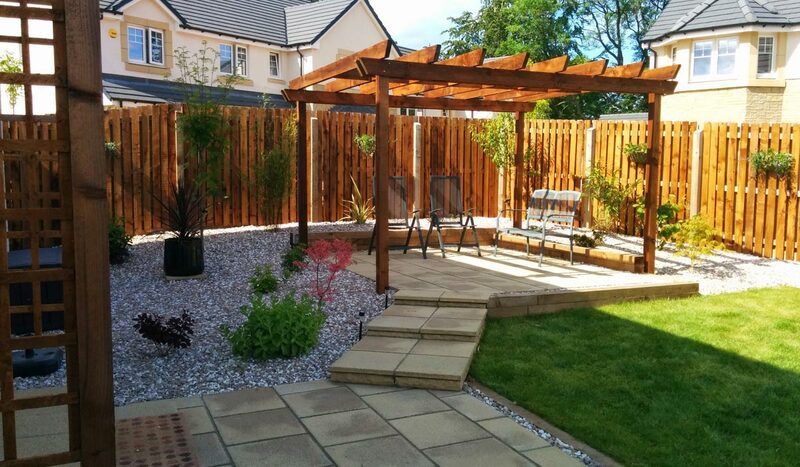 The clients wanted a choice of places to sit in privacy as well as creating a low maintenance garden to enjoy. 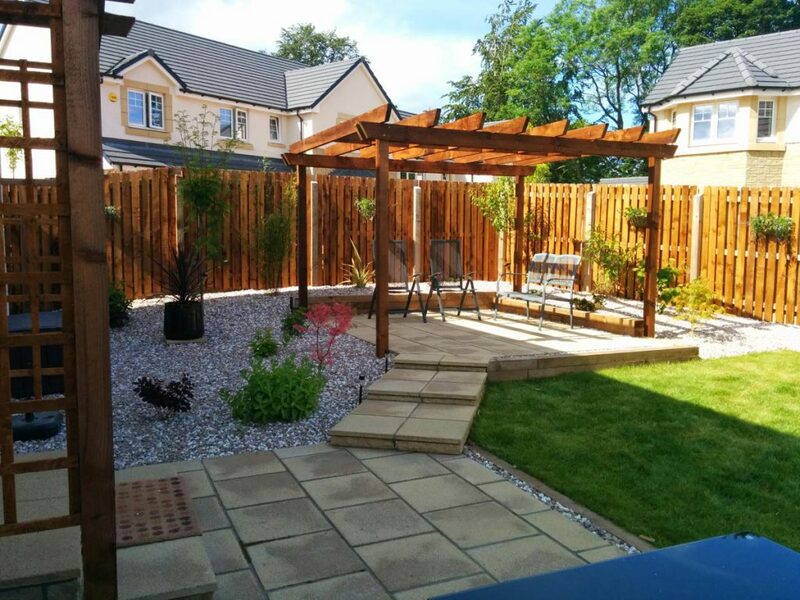 "The garden now reflects its lovely surroundings in pretty Perthshire"
To tackle the privacy issue, we double slatted the existing fence and added some trees into the garden. 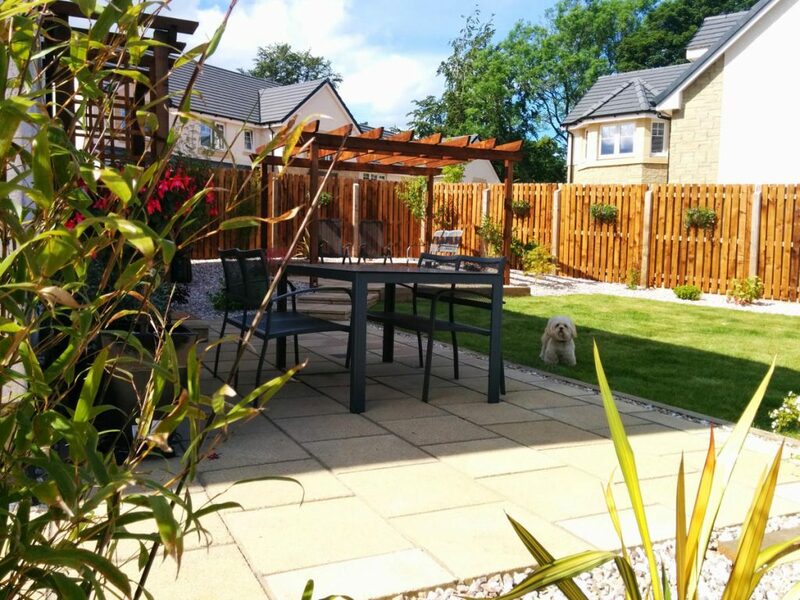 We also introduced a pergola to to the main patio area which was complemented with a smaller pergola framing the patio doors. 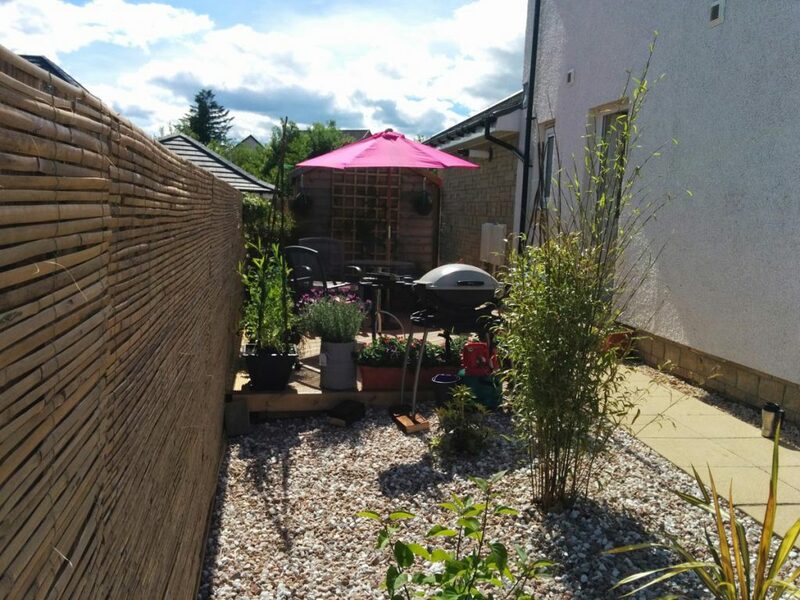 The paths and patio were created using simple, natural coloured paving to complement the house and “Cavelston Sunrise” gravel made the garden low maintenance. 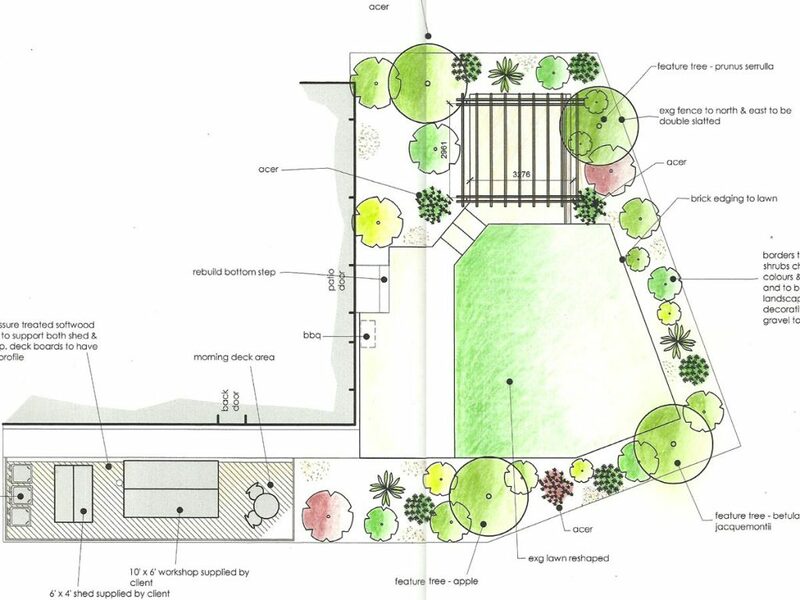 The area to the side of the house had previously just been lawn and a small path and had lots of potential. 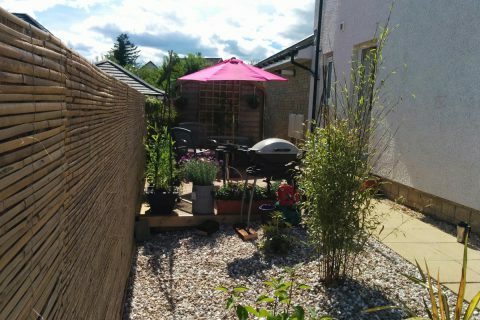 New screening, decking and plants created a lovely seating area in the morning sun as well as space for storage. 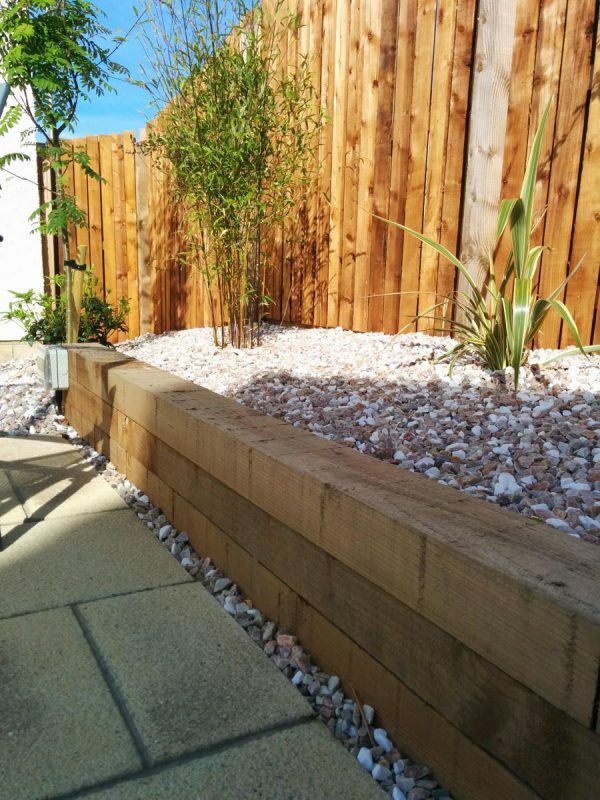 The various natural slopes of the garden created a requirement for some timber retaining walls around patios which in turn allowed us to create ornamental raised beds. The existing lawn was reshaped and edged in bricks. 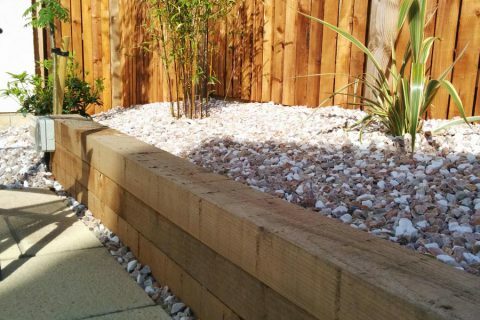 Plants such as choisya, hamamellis, photinia and hebe create year round interest in the garden. Bamboo adds lovely sound as the clients sit on their new patio. Trees included sorbus aucuparia, prunus serrula and betua jacquemontii. Rhododendron, hydrangea and syringa add wonderful colour to the garden.